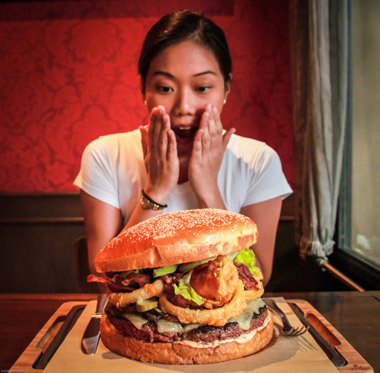 Gigantic-sized food is usually something that you would find in America or several European countries due to their much larger appetites. It is not really a common food trend around Asia, but in recent years, several Asian countries have started to produce more and more larger-sized food. Is it because the Asian’s appetite has started to grow as well? Not exactly, it is more like the oversized food has become the latest food trend nowadays! 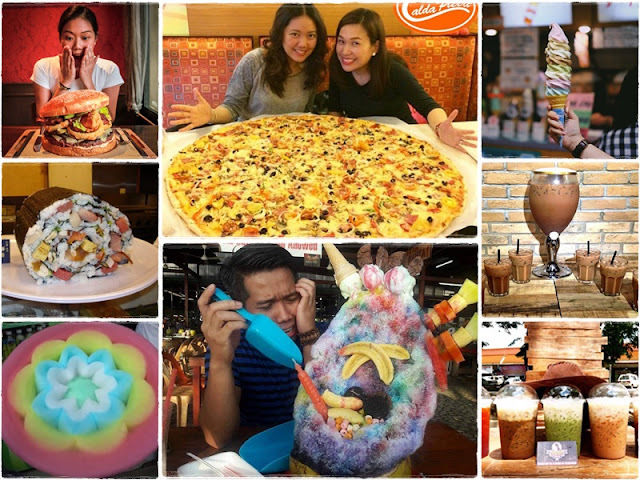 Here we listed down some of the popular gigantic-sized food in several Asian countries, so next time when you decide to visit the country, remember to try them out! Similar to a beer tower, but is filled with iced milo instead. The drinking trend first started in Singapore which usually costs between SGD10 to SGD15. The drinks can be shared among 5 to 10 friends depending on the height, unless you have the confident to finish it all! Currently, there two places in Singapore which sold the drinks – RK Eating House and Srisun Express. Both also taste great but the milo tower at Srisun Express is much higher! 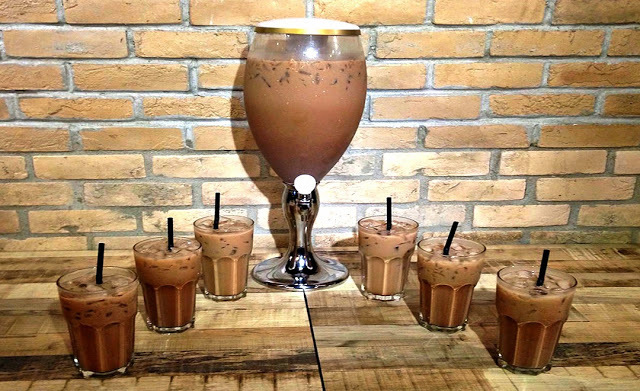 The drink is not as huge as a milo tower, but it is twice as large than normal-sized drinks, and it is a growing trend in Malaysia. Though big cup drink is not exactly the official name, the trend reportedly started in Kedah by a street stall named Cowboy Coffee. (The owner and staffs there dressed up as cowboys too!) 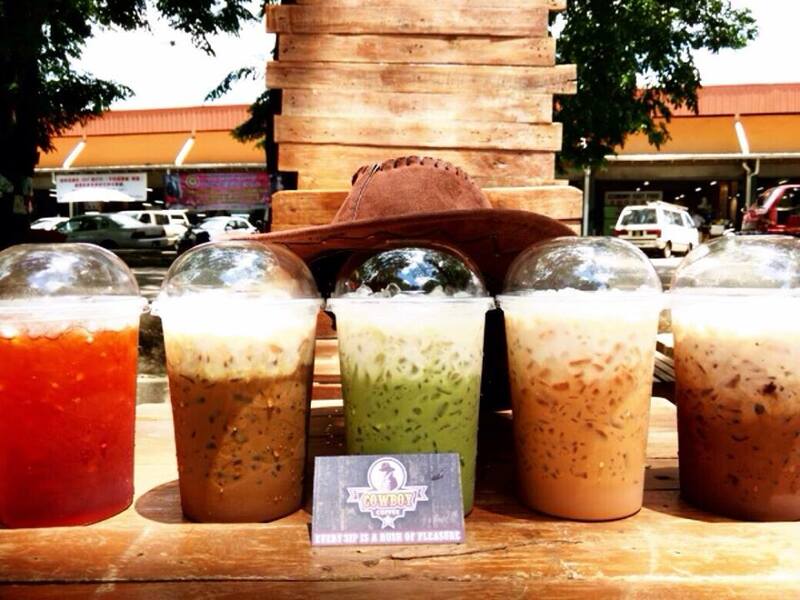 You can find this drinks at almost every street stalls in Malaysia, but we would suggest you to try the original one in Kedah as it tasted the best (personally), and it is cheaper than other places which is MYR4 while other places usually sell it at MYR5 or above. Short for Air Batu Campur which is also known as Ais Kacang, ABC is common dessert in Malaysia, Singapore, Brunei and several other Southeast Asian countries. 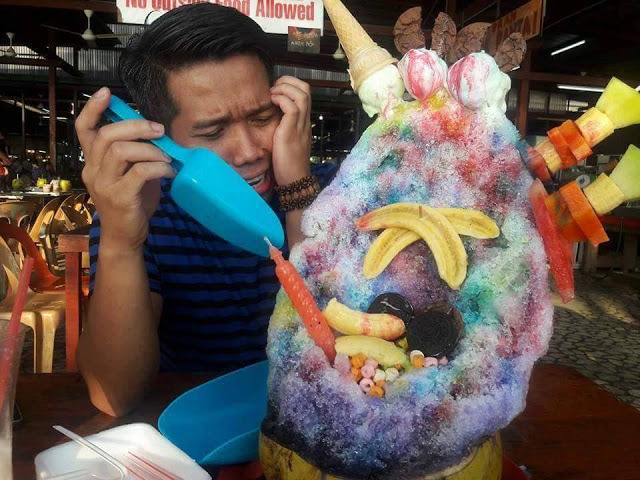 The dessert normally comes in form of shaved ice with sweet syrup and various toppings that is served in a small bowl, but the one sold in Sabah is five times larger than it! The dessert takes after the name of the tallest mountain Malaysia and it costs only MYR16 per bowl. Currently, the dessert is only located at Kota Kinabalu, Sabah. First started in Los Angeles, the Bangkok branch is the latest and the only one available in Asia. Other branches are located in Chicago, Huntington Beach and Los Angeles. Named after the precise temperature difference between a raw and well done hamburger, 25 Degrees serves some of the largest, juiciest and fresh beef and chicken burgers in town. The place also serves normal-sized burgers. Though the food there can be quite pricey, it is quite worth it as the quality is top-notch! 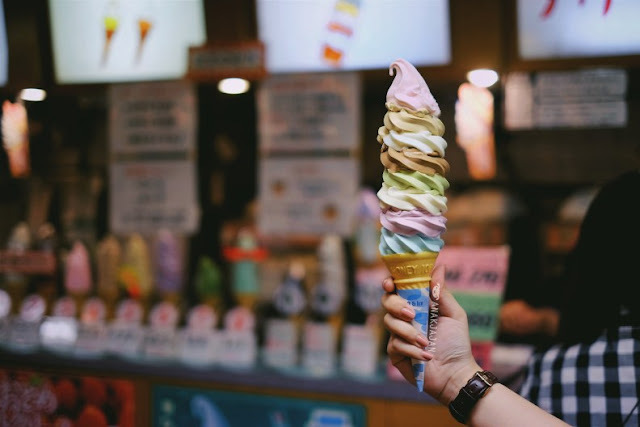 Located at Tokyo’s Nakano Broadway, Daily Chico’s super-sized soft serve ice cream will make all the ice cream lovers scream in joy! The ice cream is made up of eight different flavours including strawberry, coffee, milk, chocolate, matcha, banana, grape, and ramune soda. For those who always have a tough time choosing the choice of their ice cream flavour can now have it in one go with Daily Chico. The colossal eight-flavour cone costs only JPY480 which is quite affordable considering the size and the number of flavours. 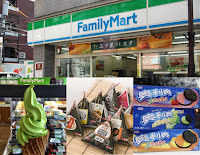 The shop also sells normal-sized ice cream which priced between JPY250 to JPY350. 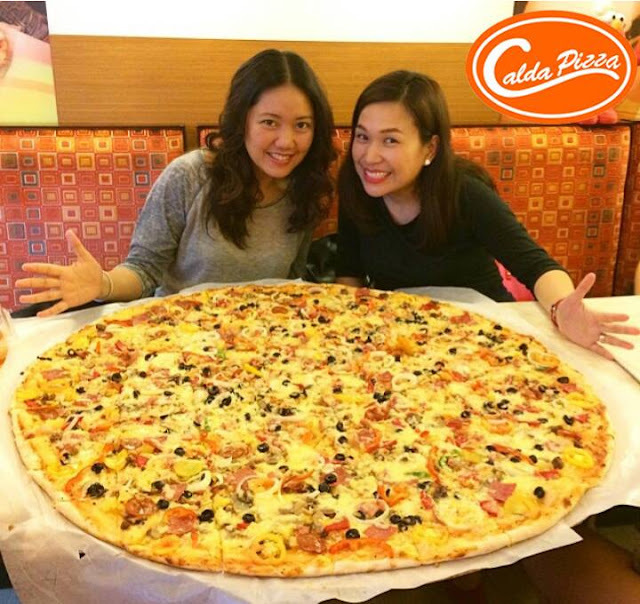 Established by Mr. Bernard G. Palang and his wife Frances Therese, Calda Pizza is known for its 40-inch Monster Pizza that can feed up to 30 to 35 people. The gigantic pizza is perfect for large reunions, parties and gatherings with families and friends. The concept of the pizza joint is inspired from Italian thin-crust pizzas infused with some local Filipino taste. The restaurant has won a number of awards since 2009 including “Pizza House & Station of the Year”, “Most Trusted Pizza House & Station” and “Most Outstanding Pizza”. There are a total of 61 Calda Pizza’s branches but the Monster Pizza is only available in Iligan City, Ramon Aboitiz Street, Cebu City and Escario St., Cebu City. 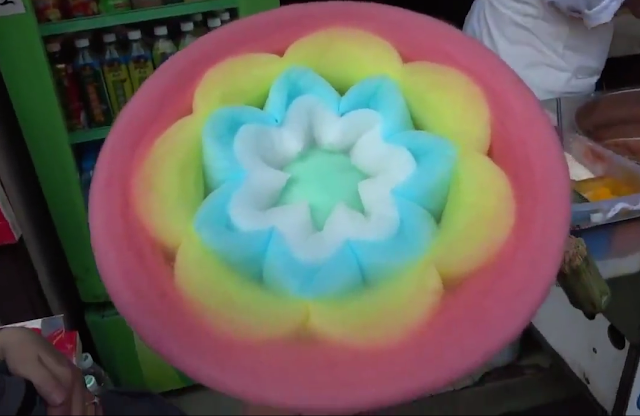 Cotton candy is not usually small, but the one that you can get in China is humongous and it consists of various colours which form the shape of a beautiful flower. Though the colourful cotton candy started and was first popularised in China, it can now be found in other Asian countries as well, like Korea and Philippines. Since the giant cotton candy is already a trend in China, you can find it in various street side stalls in the country. Also, the cotton candy is quite cheap as it costs only CNY5. This sushi restaurant is known for serving the world largest sushi which measure up to 20cm in diameters and nearly 6kg in weight, setting the record for the largest sushi in the world according to the World Record Academy. 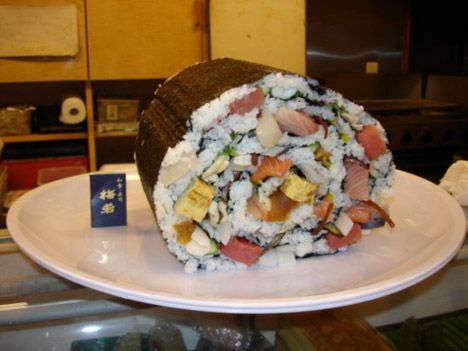 The sushi dish contains more than 20 different foods wrapped inside the 2-meter seaweed and rice that can serve around 6 to 8 persons. Located at Japan’s Aichi Prefecture, the dish costs around JPY15,000 per plate.